Provide you with an honest assessment: Your lawyer know how things work in the court system. He or she will provide you with an honest assessment of how the trial will proceed and what you can expect. File the necessary paperwork: Your lawyer can help fill out the necessary paperwork in court. He or she can ensure that all the paperwork is filed according to the strict deadlines set by the court. Negotiate a plea bargain: Your lawyer can work with the prosecutor to negotiate a plea bargain for you. A plea bargain can reduce your potential sentence and may eliminate a few or all of the charges against you. Work out a sentencing program: Your lawyer can work out a suitable sentencing program depending on your charges. He or she may also work to get your sentence structured so that you don’t cross paths with the judicial system in the future. Gather statements: Your lawyer can gather witness statements. He or she can hire investigators to investigate the witnesses scheduled to be presented by the prosecution. If the investigators find anything suspicious, this could help your case considerably. Bring in expert witnesses to testify: A lawyer can bring in expert witnesses to testify on your behalf in an effort to get an acquittal. 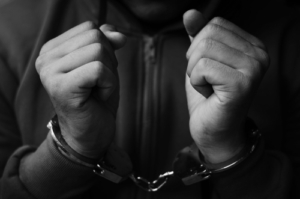 If you are accused, charged or arrested on criminal charges, you will need an experienced and aggressive criminal defense lawyer to fight for you. Criminal defense lawyer Joel Silberman focuses exclusively on criminal defenses. He will provide an aggressive defense from start to finish and will keep you informed regarding your case. Call 800-889-3129 or email joel@joelsilbermanlaw.com.